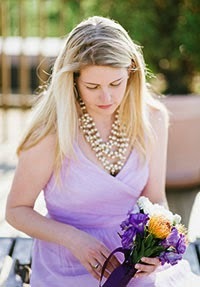 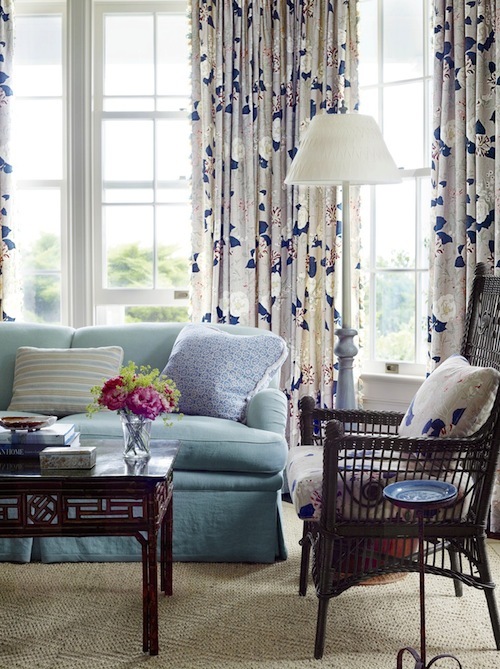 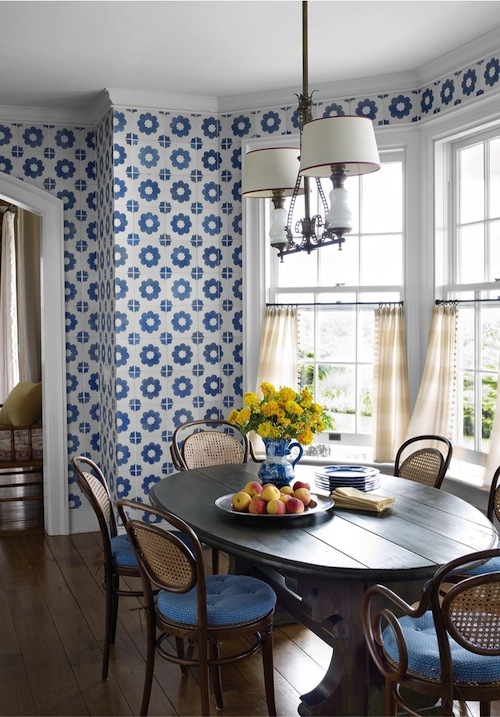 Is there anything better than shades of blue, vintage wicker and rattan and the ocean breeze? 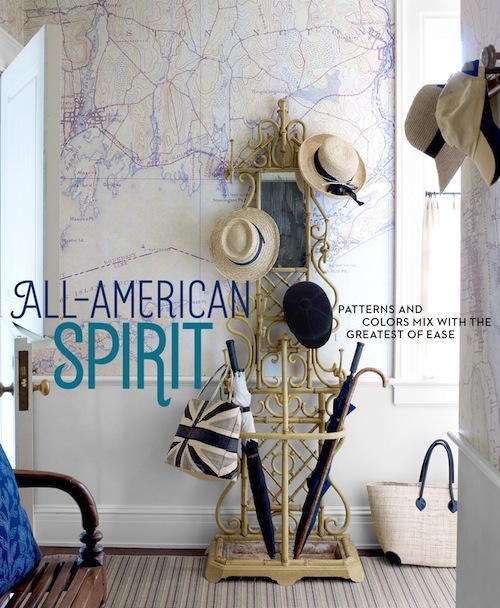 I don't think so, which is why I was enthralled with the All-American Spirit article in September's House Beautiful featuring the classic style of Tom Scheerer in a Watch Hill, Rhode Island residence. 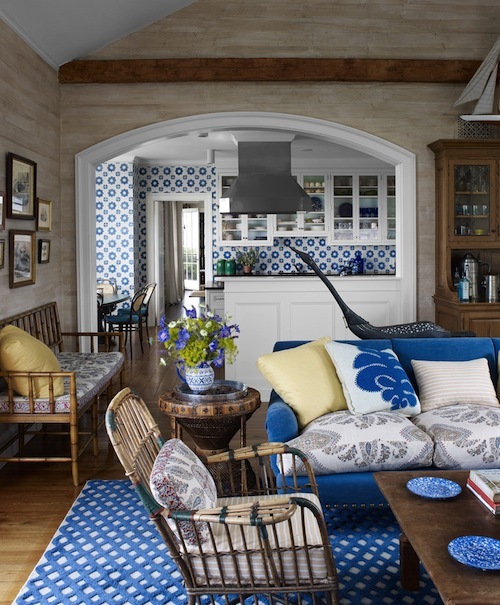 Scheerer has a canny ability to create seaside interiors which evoke the sense of a house passed down through the generations; just the right amount of stuffy and livable, with the formality of having to dress for dinner but relaxed enough to come relax in the kitchen in your sandy beach gear.